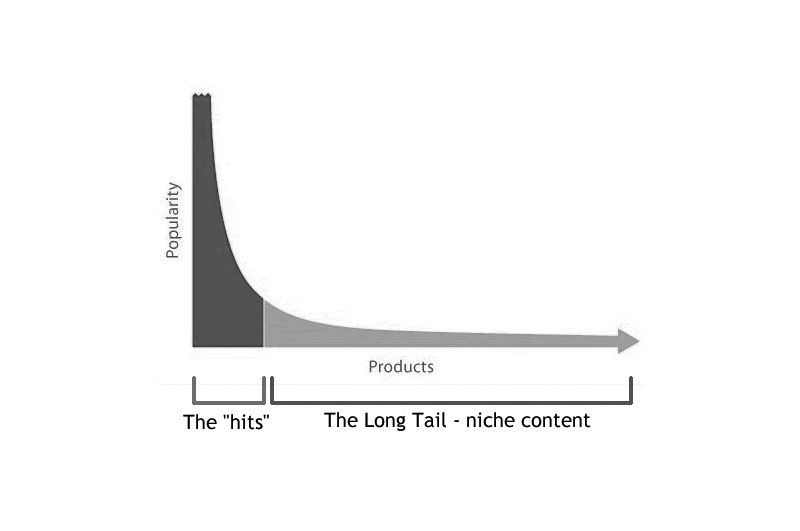 The long tail is a statistical pattern of distribution that occurs when a larger share of occurrences occur farther away from the centre or head of distribution. This means that a long tail distribution includes many values that are far away from the mean value. In an economic context, this signifies that more products are purchased that are different from the most mainstream products. 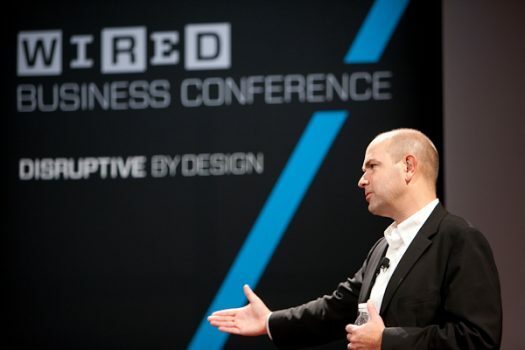 Chris Anderson popularized a theory about the long tail effect in a book first featured in Wired in 2004 and later published by Hyperion in 2006. The book became a New York Times bestseller and won the Gerald Loeb Award for Best Business Book of the Year, simply titled The Long Tail. Anderson theorized that consumers in the modern economy are increasingly shifting away from a smaller number of popular “hit” products (these make up the head of the curve). Instead, more and more people are buying individualized niche products (located in the long tail). This is possible because, in an increasingly globalized economy, production costs are lower, making it easier to produce items in smaller groups. The rise of internet business also means that fewer stores must constrain themselves to the limits of shelf space and can stock a wide range of items. Ultimately, this creates more choices for the consumer. Businesses can benefit from this trend by stocking a variety of individualized, niche items. Given enough traffic, products that have a low sales volume can collectively make up a market equal to or larger than that of the most popular, best-selling items. According to Anderson’s theory, this will become increasingly true as economic culture shifts farther away from monogamous, trend-following purchasing. Modern customers are becoming more interested in products and services that seem unique and fit their individual needs and tastes, creating more demand for a greater number of more unique items. One company that has employed the long tail effect with great success is Amazon. As an online retailer, Amazon can stock a vast number of different products and therefore meet the needs of many different individuals. A large proportion of Amazon’s sales come from obscure books that may not be available in traditional brick and mortar stores, rather than popular best sellers. Because Amazon can provide niche products, it can appeal to many different customers with diverse interests. Many other businesses, particularly those involved in online retail, may be able to profit from a similar strategy. Popular online companies such as iTunes and Netflix generate a lot of revenue from selling small numbers of many different, less popular items that appeal to a wide range of customer preferences. 3D printing company, Shapeways, is capitalizing on people’s interest in unique items by offering products that can be individually designed and then produced. These customized sales make up a large percentage of their profits. The long tail effect can also be applied to online marketing and website content. Google and other search engines have realized that many internet users are hoping to find online businesses and websites that are tuned in to their particular searches. Therefore, rather than prioritizing the most popular, general sites, Google can show search results that more precisely match an individual search. Website managers can take advantage of this trend in order to bring in more traffic. A blogger, for instance, might think that writing a general post on a very popular subject might bring in the most traffic. It’s true that many people might do a Google search for the most popular, basic subject, but there’s going to be lots of competition, making it difficult for one blogger to bring in traffic. More individualized, niche topics might have a smaller target audience, but they will also face less competition. The blogger, for example, might want to write about travel in Europe. The topic “Budget Travel in Europe” is a popular subject, but the post will likely be lost in a sea of search results. “Choosing a Budget Hostel in Paris,” however, is much more specific. There may be less people searching for that individual topic, but there will also be far less competition. A searcher who wants answers for their specific needs will choose the more individualized topic over the broader one. The most effective way to maximize search engine optimization and bring in more website traffic using the long tail theory is to create a large number of pages that appeal to niche markets. If our blogger, for instance, were to write posts about 10 different countries in Europe, she would be very likely to bring in more traffic than she would with one general post about all of Europe. The same theory holds true for all kinds of websites and online businesses. Creating multiple pages with slightly different titles and keywords can help to draw in more visitors. Some people, of course, have questioned the validity of the long tail effect. It is almost unquestionably applicable to areas such as search engine traffic and some kinds of online retail. Certain markets are not seeing the long tail expand to the same extent, however. The digital music industry, for example, may, in theory, be able to capitalize on offering a wide variety of less popular songs. However, the Times of London reported that over 76% of songs available for digital sale were not purchased by a single buyer. That means that the majority of digital songs that made money were still popular hits, rather than obscure music. The long tail, in this case, may have some limits. Similar patterns are true for movie and other entertainment sales. It’s true that online companies such as Netflix and Quickflix can offer an ever-widening selection of different movies. Much of their traffic and profit still come from people watching or purchasing the same popular titles, though. This doesn’t mean, however, that the long tail effect theory is inaccurate. It seems clear from just a glance through online retail that every day more customizable and obscure products are being offered and purchased by interested consumers. There will still be trends and hits that generate a larger bulk of profit. After all, it seems unlikely that we’ll ever be without hit music or blockbuster movies. These popular items are always going to draw a lot of attention and revenue. But increasingly, attention and profit are also moving towards smaller, less popular items in the long tail, and it’s affecting the way both consumers and producers can act. 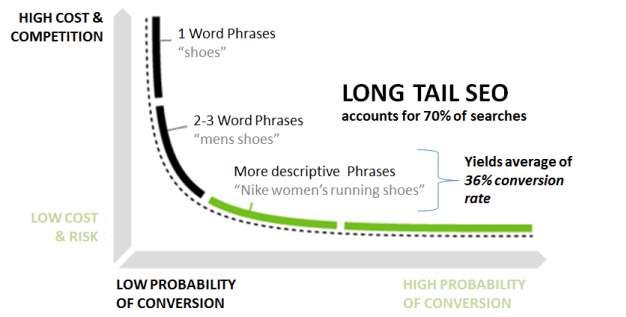 What is Long Tail Phenomenon? Essentially, it is a strategy that allowed businesses to generate significant amounts of profit through products that are either hard to find, or that they sell very little of, instead of (or sometimes in addition to) items that are incredibly popular. Chris Anderson, who coined the term, has stated that products which are in low demand, or that have lower sales in terms of volume, are able to potentially exceed the bestsellers as long as the channel of distribution is large enough. In a nutshell, this means that because consumers are directing their attention away from the mainstream marketplace and are moving towards the products that are less popular. However, the balance is still maintained because there is still a lower demand overall for the items in question. If you look at the increasing number of online marketplaces, and the reduction of competition for shelf space that comes with them, you will see that an almost infinite number of products can be sold through the internet – widening the market massively. What Does Long Tail Mean in Marketing? So, what does long tail mean when we look at marketing instead? It refers to the strategy of using the less popular product (or service) in question to target a large number of niche markets, and is a method that is most commonly used by businesses that are leaders within their respective industries. Yes, it does sound like a counterproductive way of doing things – especially when you are shifting your focus to multiple niche markets – but when you combine the total sales from each of them, it becomes a much more lucrative option. The internet really helps to boost this as well by recommending products to you on websites like Amazon, piquing your interest. This is an example of how long tail marketing works, and Amazon is a professional when it comes to grabbing multiple niches and presenting them to customers. The reason this form of marketing is so popular with these retailers is because of the unlimited shelf space. A regular store is less likely to have the room to display these less popular items, but an online one doesn’t get faced with these issues. There is no competition for space, and therefore it does not cost huge amounts of money to keep them stocked. A lot of this is also because online stores usually have centralised warehouses in which they can keep everything – minimising multiple costs. Those who are classed as digital retailers (think iTunes) have it even better because they don’t need any physical storage space – everything it digital instead. Therefore, they have even better opportunities when it comes to long tail items and the marketing that accompanies them. Additionally, the marketing and theory combined mean that you have the opportunity to expand your customer base and diversity. This is because no tail is made up of a single type of customer, but instead many different ones, and the longer the tail, the more diverse the customers that will be coming with it. It might seem like a big risk at first, but the increased and varied inventory will bring an increased and varied kind of customer with it. A quick example of this would be the Chinese manufacturers of mobile phones, and the ways in which they can enter the foreign market using the long tail effect. All they need to do is bring their product overseas with the promise of quality, reliability, quick delivery, and low costs – all while ensuring that things like signal and the future potential for 5G in the West remain guaranteed. What is a Long Tail Item? An actual long tail item really does depend on the industry, and might not always be something you immediately recognise when faced with it. The product in question could be a pair of shoes, or an unbranded coat with the faux-fur lined hood. Quite honestly, the possibilities are endless, and Amazon is once again the best example of a place to find multiple long tail items. How do they get them so well ranked on search engines though? After all, your searches will often come up with both specific and long tail items when you hit the button. It’s all about the SEO and keywords, as with most things in digital marketing, and companies like Amazon have really learned how to utilise long-tail keywords in their product listings and descriptions. In fact, 57% of their sales come from long-tail keywords, and that is something to be impressed by. A key example of the way in which Amazon uses long tail keywords is through the actual names of the products. So, if you are searching for a specific headset for your PC, Amazon will usually be one of the top search results for the exact thing you are looking for. This is a long tail keyword in action. What is Long Tail Risk? When we refer to the concept of a long tail risk, it is a form of liability that carries a long settlement period – and the context for this can vary. In terms of sales, it means that the low popularity products you are purchasing and then listing for sale could take a while to sell and really take off. Therefore, the risk is long tail (just like the product) because you are unlikely to see any profit or positive results right away. If we are instead referring to insurance, and the long tail risks that come with them, it also refers to a liability with a long settlement period, but it may also come at an increased cost or have restricted coverage. Insurance companies that offer this form of coverage may also have higher investment income ratios when compared to those that offer coverage for short-term liabilities. This is because there will often be a large gap between the premium being received by the insurance company and the claim being made by the business in question – a good example being product liability.